Is water pooling on the floor near your toilet? 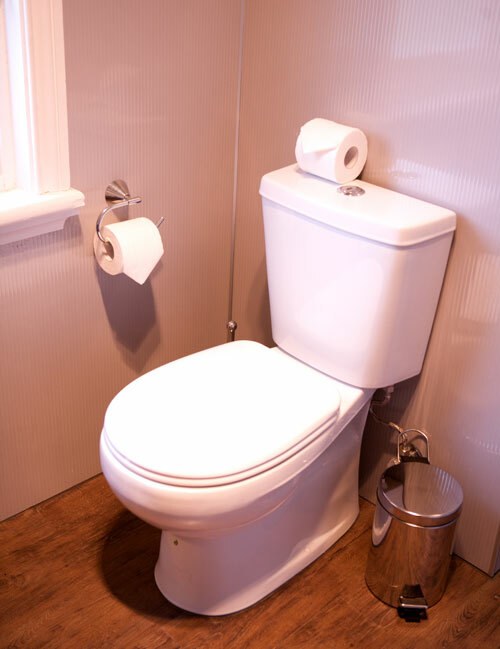 A leaking toilet has several common causes. Some leaks are easy to fix. Other repairs will require more skill, time and elbow grease. Before you can fix your toilet, you’ll need to pinpoint where the water’s coming from. Just because there’s a puddle near the toilet doesn’t rule out the possibility that the leak is coming from somewhere else. If your floor isn’t level, the water will naturally flow to the lowest point in the room. Check all the fixtures in the bathroom and trace the leak to its source. If you’re certain the toilet is the problem, here are some things you can look for. Does water leak from under the toilet after flushing? The bolts that secure the toilet to the floor could be loose, or the wax ring above the waste pipe could be broken. Tightening the bolts may fix the leak. If it doesn’t, you might need to replace the wax seal. Redoing the seal requires taking out the toilet. After removing the toilet, you could find additional problems. For instance, you might discover rotting floor boards or find the flange needs to be replaced. Toilet tanks can crack. A small fissure may be repairable with plumber’s epoxy. If the crack is large, it may be better to install a new tank or toilet. If your toilet consists of two pieces, it’s possible the bolts attaching the tank have loosened. Try tightening the bolts. If the tank still leaks, the seal under the tank may need repairs. The fill valve is connected to the toilet’s water supply line. A nut with a seal keeps the valve tightly attached to the bottom of the tank. If the leak is coming from under the fill valve, tighten the nut. If that doesn’t work, you may need to replace the fill valve. Check the toilet’s water supply lines and shut-off valves. The supply line runs from the under the tank to the wall or floor behind the toilet. The shut-off valve is on the wall or floor where the supply line attaches to the water line. Condensation can form when the air in the bathroom is much warmer than the water in the toilet. Enough water may collect to eventually run to the floor. You can install an anti-sweat valve to mix a bit of hot water with the cold. This will keep condensation from forming. Keeping your bathroom cool and properly ventilated will also help. Leaks that lead to water on the floor are different than those that cause a toilet to run. Find out how to fix a running toilet in our post about that topic. Simpson Plumbing can take care of any of your plumbing problems. Contact us today if you need help with a leaking toilet. How Does Water Leak Technology Work?